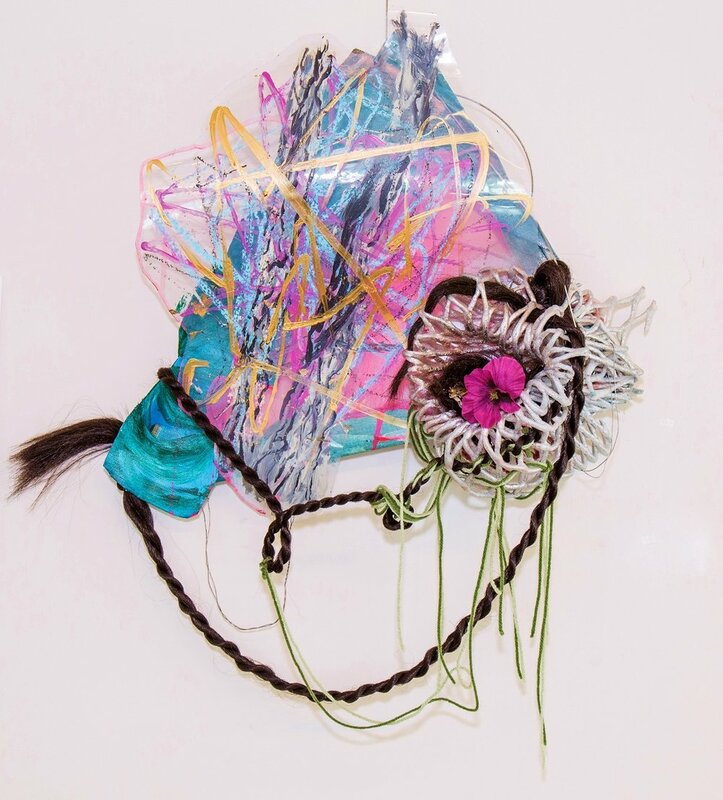 Gloria is a Xicana-Filipina artist who works in painting, weaving, sculpture, and mixed media. Her use of everyday material invoked the Xicanx concept of ‘Rasquache,’ which signifies a resourceful, working class sensibility. 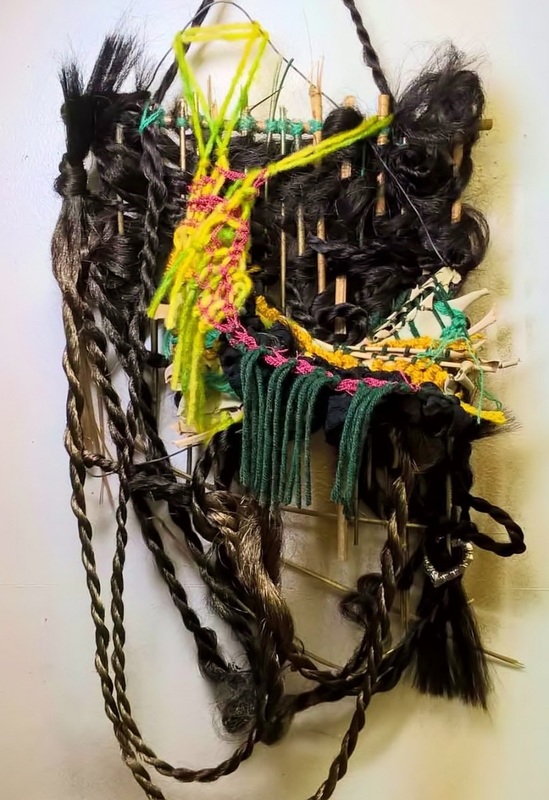 Hair is a potent material for the artist, who describes its capacity to hold memories memories and trauma. 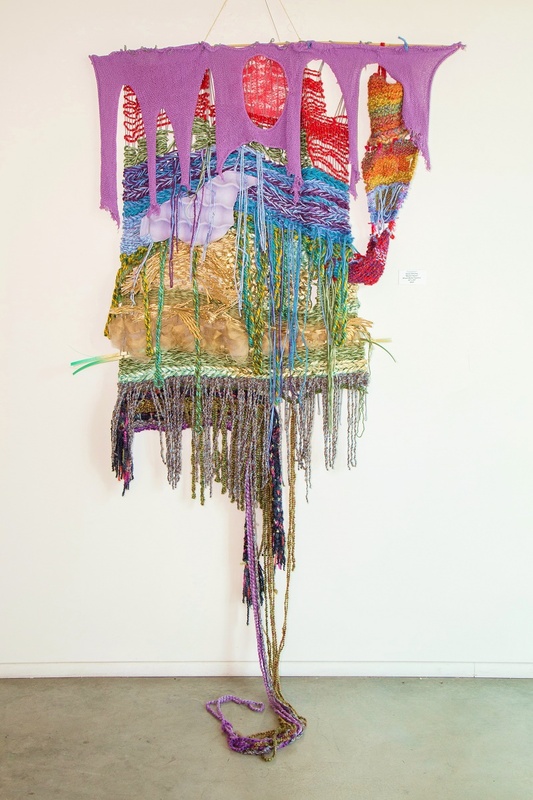 Gloria makes art as a form of resilience and therapy to process painful experiences. Sanchez received a Bachelor of Fine Arts in Drawing and Painting from California State University Long Beach in 2014. She works, teaches, and resides in the harbor area of Los Angeles, CA.